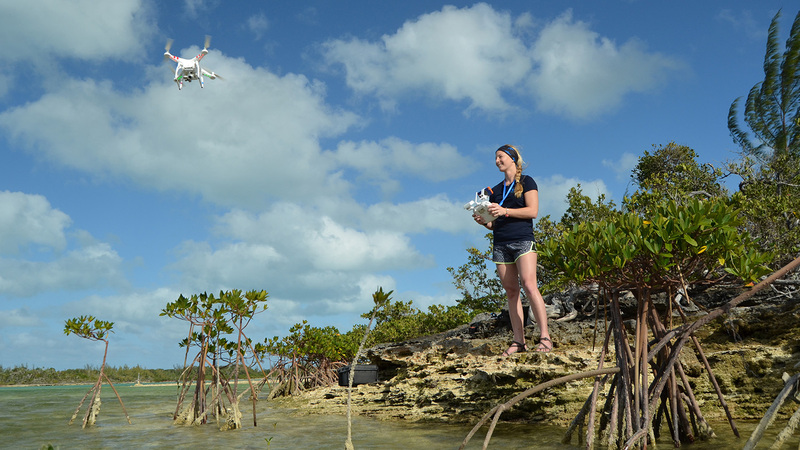 Enie Hensel with a drone at a research site in The Bahamas. Photo credit: Duncan Brake. Former NC State undergrad Stephanie Wenclawski positions decoy sharks at a study site. Photo credit: Enie Hensel. 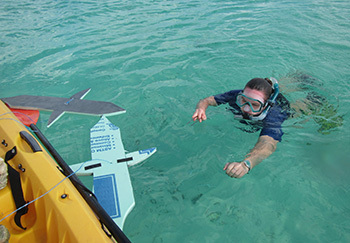 The paper, “Using a small, consumer-grade drone to identify and count marine megafauna in shallow habitats,” is published in the Latin American Journal of Aquatic Research. The paper was co-authored by Stephanie Wenclawski, a former undergraduate at NC State; and Craig Layman, a professor of applied ecology at NC State. 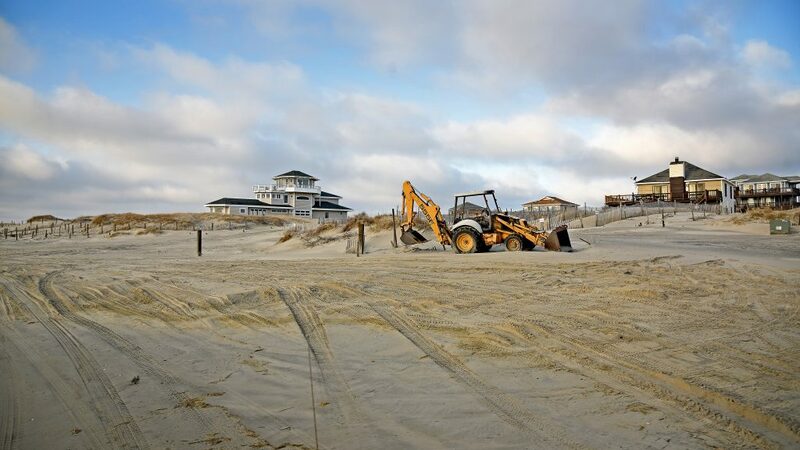 The work was made possible by support from the Save Our Seas Foundation. Abstract: Large-bodied animals, megafauna, are disproportionately threatened and yet, remain relatively difficult to monitor. This is particularly true in the ocean. Consumer-grade drones have high definition imagery and offer a non-invasive way to monitor a subset of marine megafauna, especially those species that spend part of their life near the water’s surface. However, a key question is the extent to which drone imagery data offer reliable abundance estimates due to potential detection restraints, and the ability to compare data from different locations. Here we tested the efficacy of a quadcopter drone to collect megafauna abundance data in multiple shallow-water habitats in the realistic background variation of shoreline development. On Great Abaco Island, The Bahamas we repeated drone surveys in nearshore habitats from June to August 2015 at three paired high and low human population sites. We tested the drone’s detection probability using decoy organisms, and found no effect of water quality or benthic characteristics on detectability. 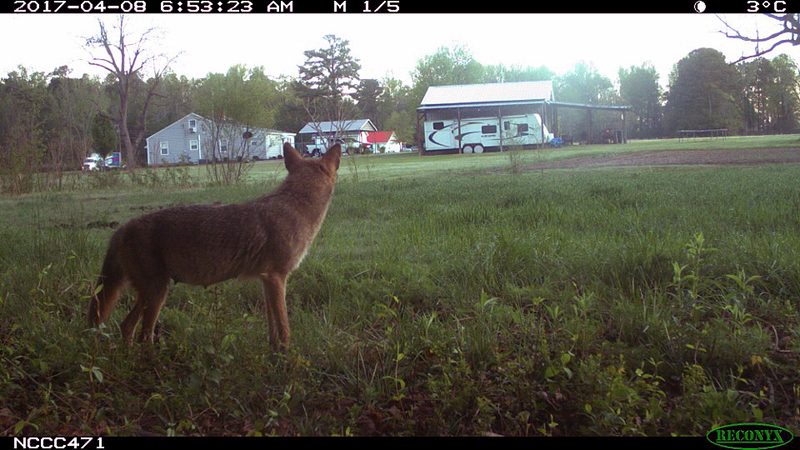 In short, the drones appear to work to monitor these species. We also noted patterns in the occupancy of the species on which we focused. We observed three shark, two ray, and two sea turtle species, finding higher abundances of all species in our low human population sites compared to high human population sites. Our results highlight the ability of consumer-grade drones to estimate the abundance and distribution of large-bodied elasmobranchs and sea turtles in shallow water habitats. Further, our study supports their capability to evaluate issues related to conservation and management of nearshore ecosystems.